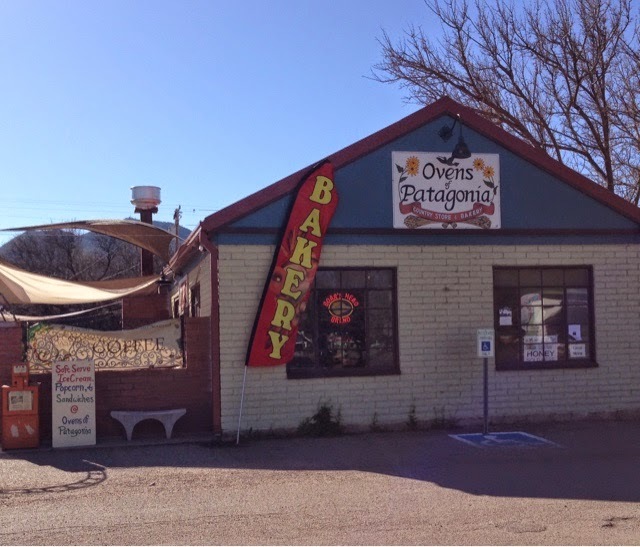 My destination today was check out Patagonia, AZ. 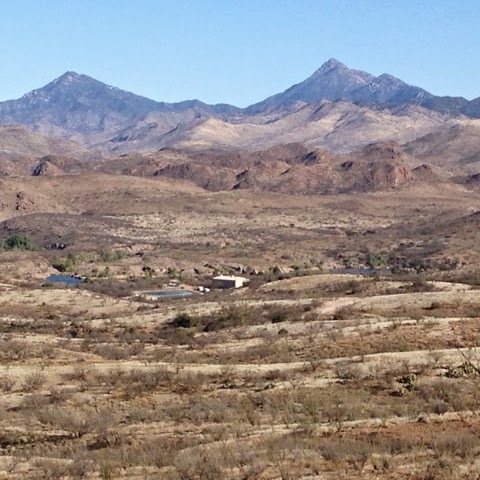 Patagonia is located south of Tucson and the way to get there takes me south on I19 to Nogalas, AZ at the Mexican boarder and then northeast on AZ 82 to the town. 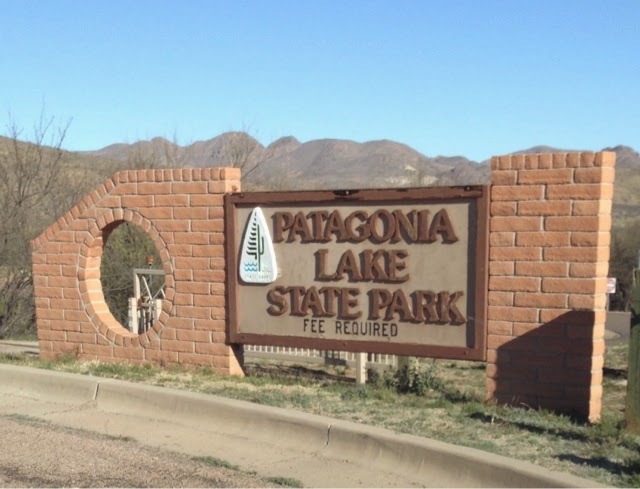 On the way to Patagonia is the Patagonia State Park, 4 miles north of AZ 82. Just before getting to the park there is a hill with wonderful vistas. A few more miles I arrive in Patagonia. It's a small town that has center with a town common (on the right). I stopped at this bakery for a treat. They had freshly baked pastries and I had a raspberry turnover. It was very good. There are a number of places to get a coffee and have something to eat in town. 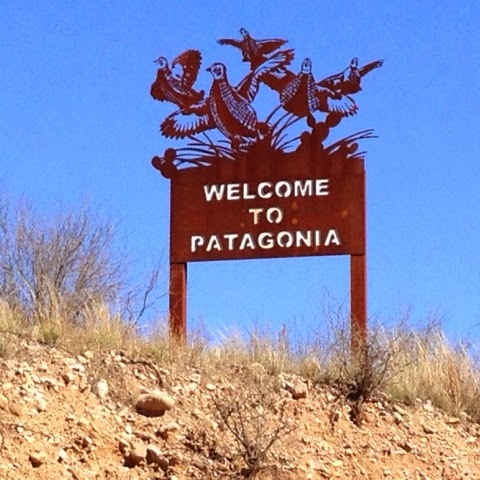 Continuing to head east on AZ 82 you leave Patagonia as fast as you entered it. 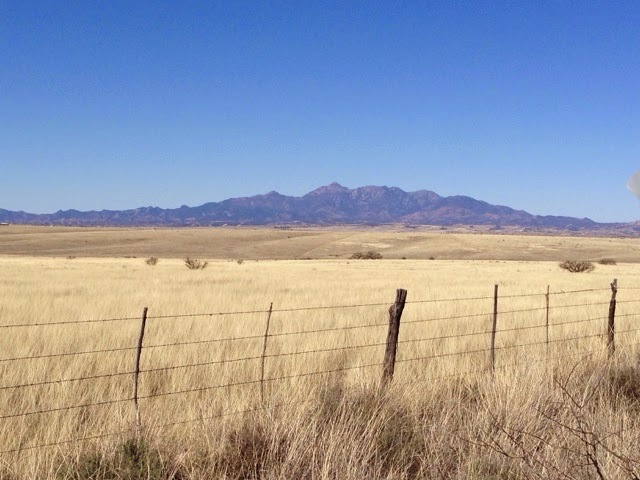 The ride is through wide open spaces with large ranches along the way. 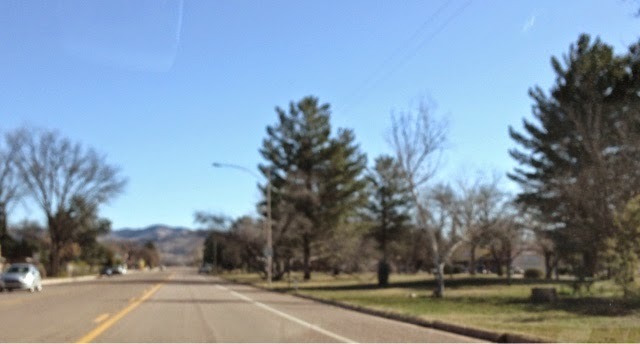 When I arrived at the intersection of a AZ 83 I could have headed back north to Tucson, but since I got such an early start today I decided to visit Old Bisbee, many miles south east from where I am. 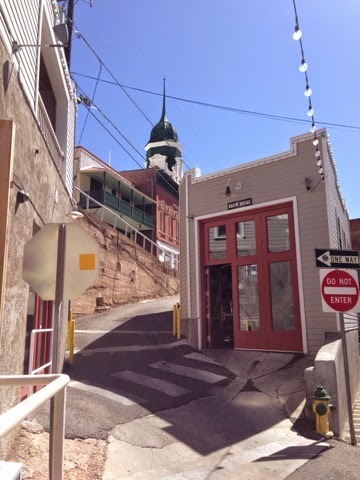 Bisbee is a mining town next to the Mexican boarder. 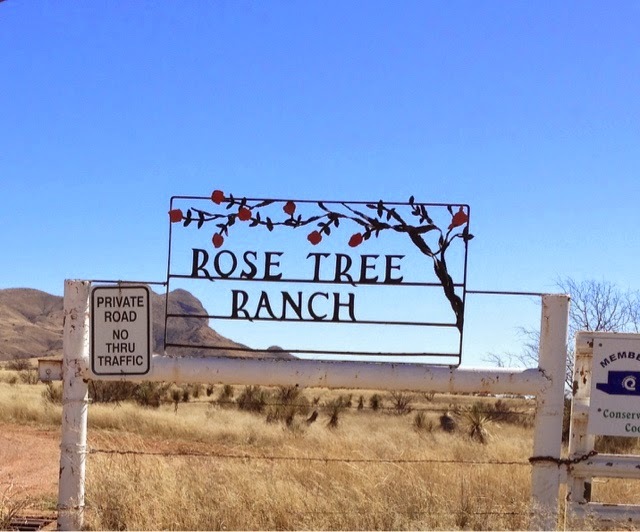 My drive to Bisbee took me south through a much larger community of Siera Vista. It is a sprawling town with all the major chain stores. Just south of Siera Vista is this mountain range with some snow on it. 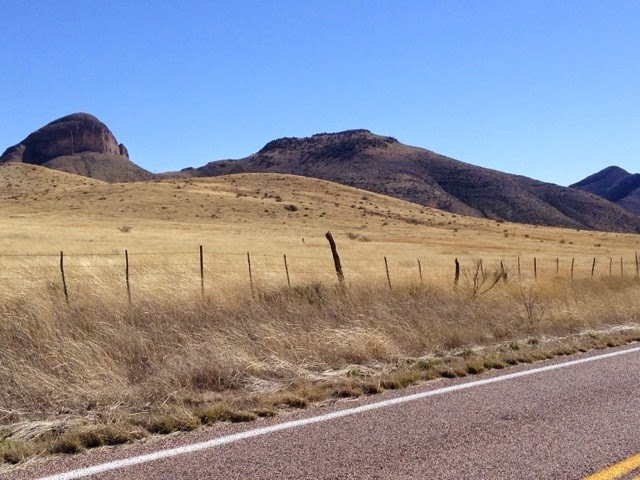 When I left Tucson it is up hill to Nogalas and further up hill to Patagonia that is over 4000 feet elevation. 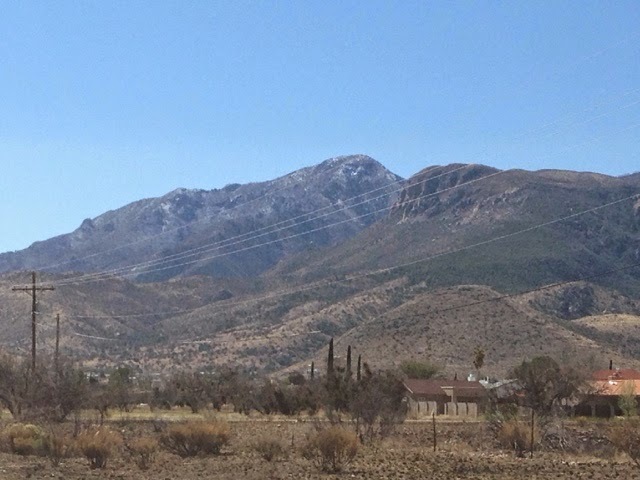 The ride stays around this elevation to Bisbee and part of the ride back to Tucson. 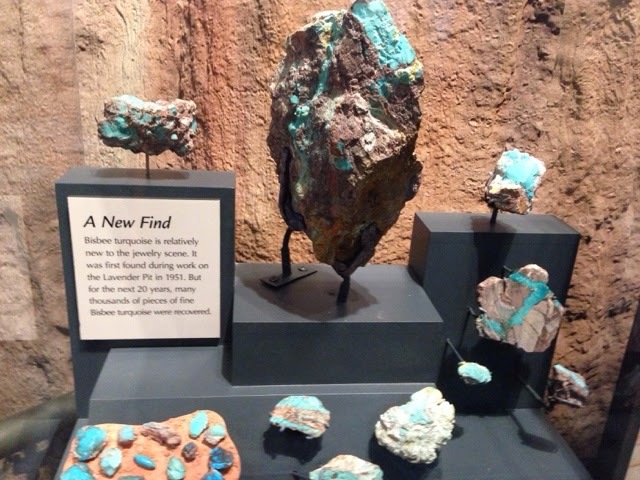 Bisbee was a popular copper mining community with mining in tunnels and later pit mining. 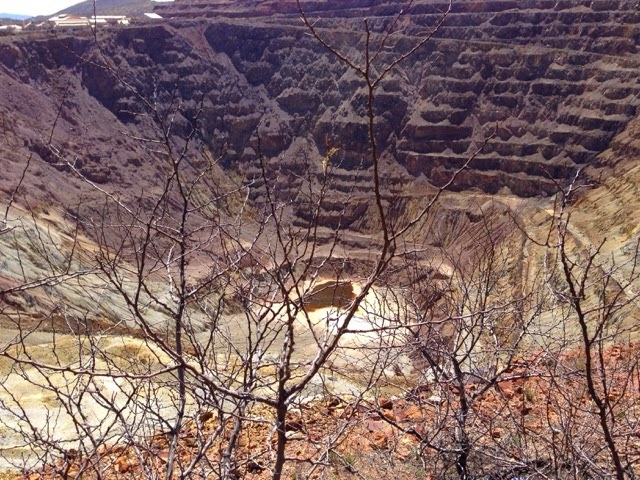 This mine is now closed. 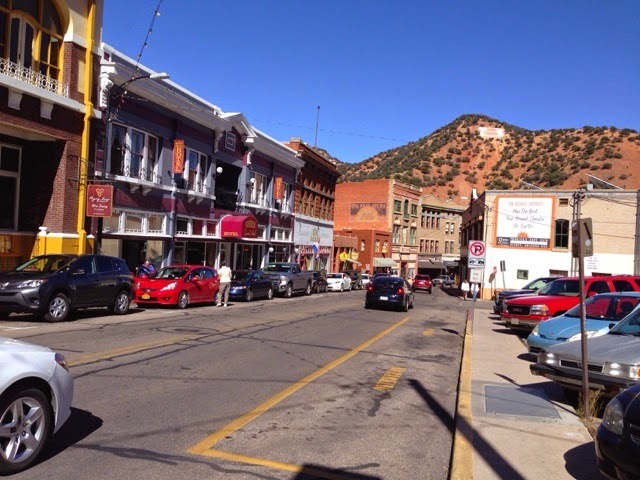 Bisbee changed it's self into a tourist town with many small shops and a thriving artist community. On small winding hilly streets. 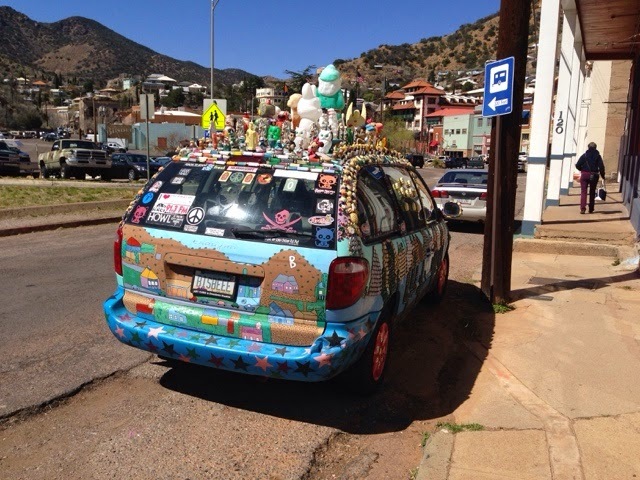 If you closely at the license plate it says Bisbee. 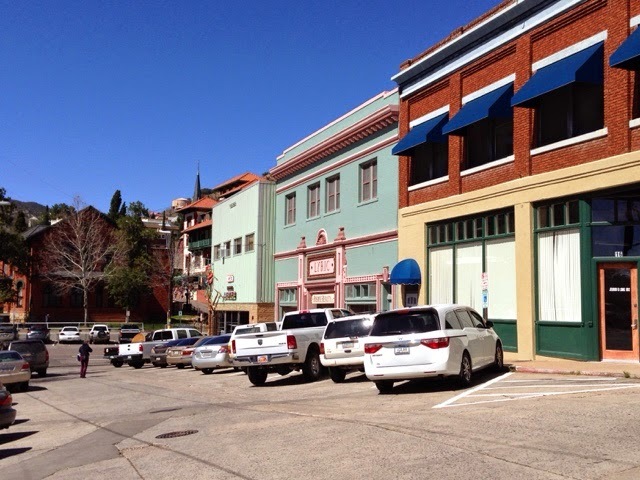 Many of the people in town were tourists that the town derived a significant revenue from. 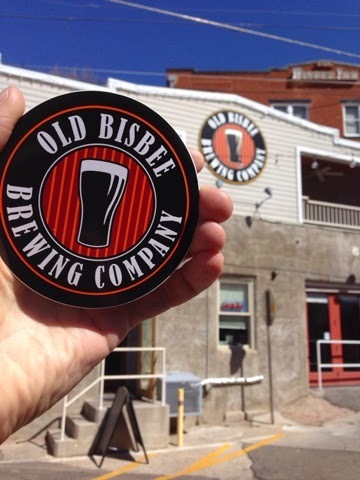 I came across the Old Bisbee Brewing Company and decided to go in and try one of their beers. 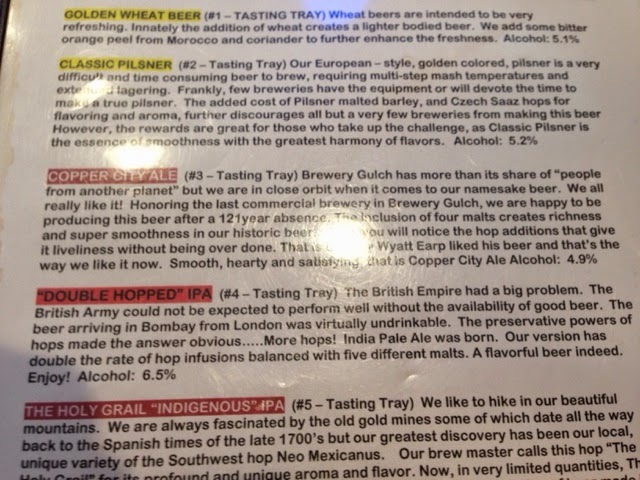 I chose their signature brew, Copper City Ale. It was good with no bitter aftertaste. They brew in the building with the red doors and have pipes under the street to store the beer to their tasting building the left. I first met Vic, who is the owner and brewmaster. He told me about getting into the business. He had winery experienced and when he retired he was having a conversation in town about when was the last brewery on Brewery Avenue (street in front of where we are). Someone knew the last brewery left in the late 1800's. That discussion was 7 years ago. He thought about it and decided he would bring a brewery back and decided to go to brew school in England. 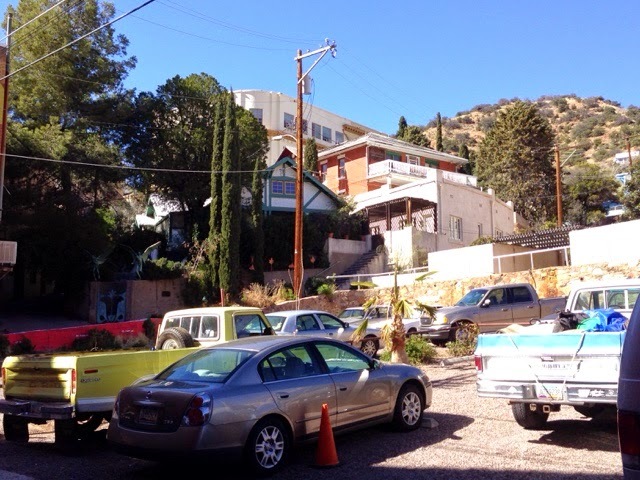 He then came back and worked on starting the Old Bisbee Brewery. They have been in business for 5 years, having just had their anniversary. While Vic was giving me the history Bartender Shannon was serving me my beer. Vic also introduced Vanessa, who is also a bartender who was sitting at the bar. As it turned out they had an employee meeting this am before I got there. Back to the Brewery business. Their growth and distribution are closely monitored by Vic to ensure product quality. He is not a man to sit now on what he has accomplished. He is working on an old style beer that he believes he can bring back. There is a local wheat that luckily is still planted by a couple growers that he is working on getting it malted. There is also a hop that grows in dry climates like the southern Arazona area. It grows short and has many appendages vs the typical hop that grws very tall. He is a man that knows his business and where he wants to take it. He credits his employees with Thor success. They now have 3 employees that can work with him to brew. 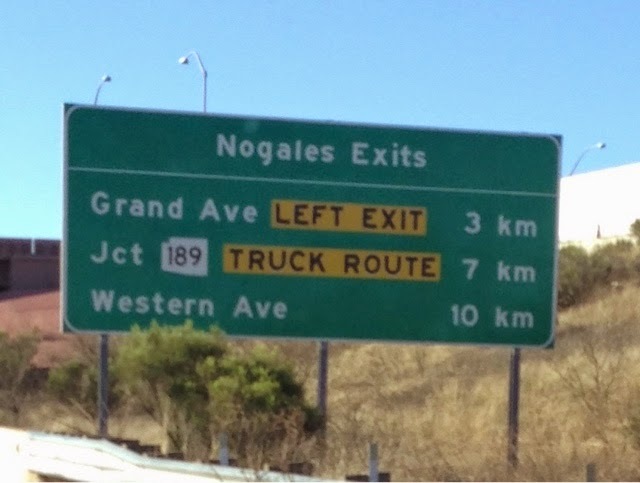 They distribute their products as far as Tucson. 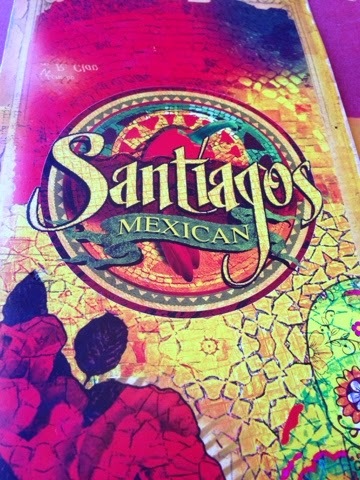 After leaving the brewery I was ready for "dunch" and Vanessa suggested Santiago's just down the street. I had been thinking of having Mecican food and this fit the bill. 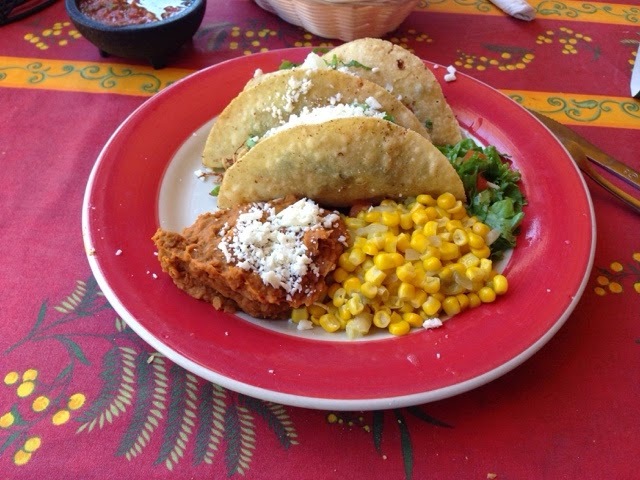 Here is my 3 chicken taco plate. It was excellent to. 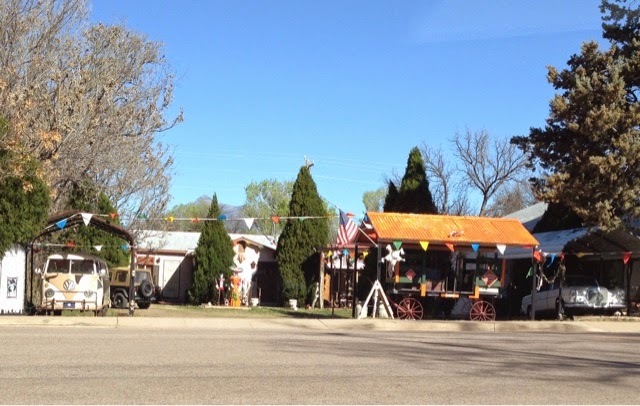 For those that may visit Old Busbee someday Santiago's sells Old Bisbee Brewery products so you can get your brew and a good Mexican feast all at one place. With lunch out of the way, I went around the next corner and visited the tien's museum. 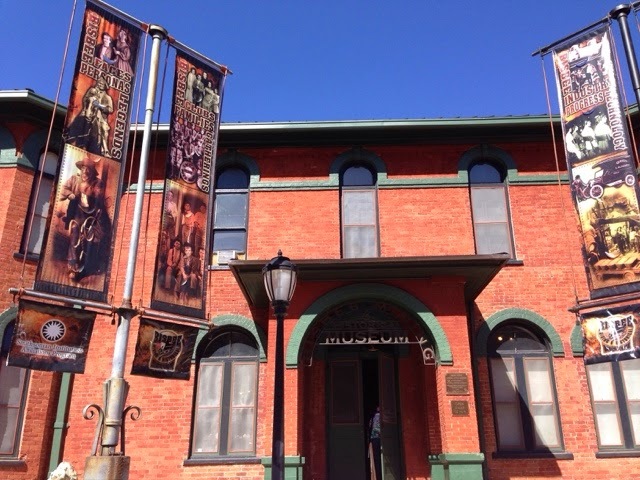 It is a well layed out museum with history of the tow and the mining. 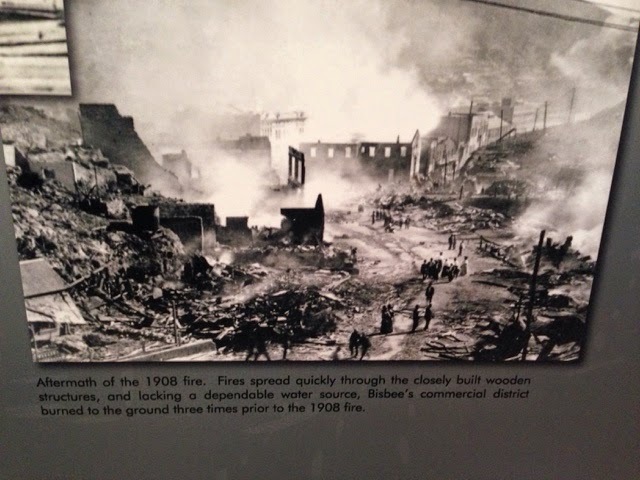 This was a disastrous fire that burnt most of the town. Then it was back out to check out some of the architecture in the town. 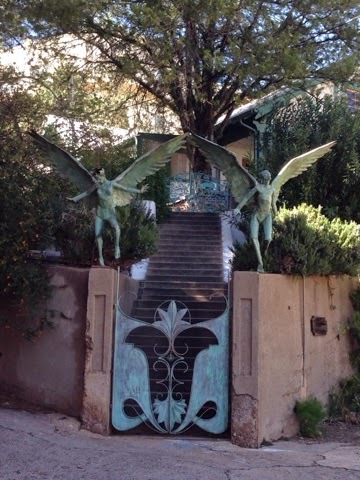 I came across this ornate gate made of copper. It was getting time to start heading back the 90 miles to Tucon. It was a nice visit. I had been here 15 to 20 years ago and it appears to have improved. 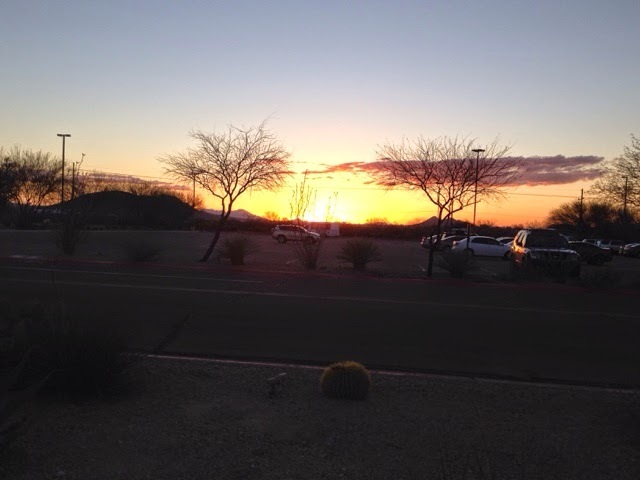 Back to my car and I am off to head up AZ 90 to I10 to my parking spot for the night. 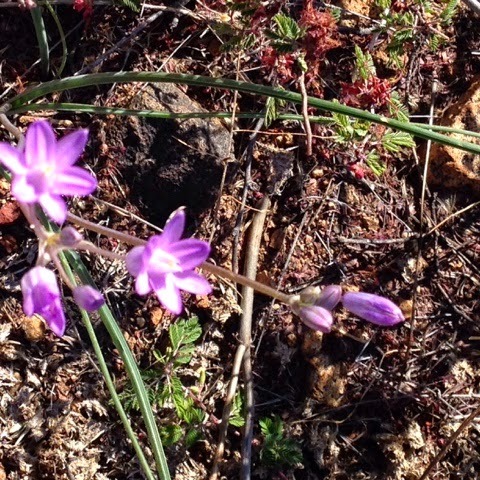 Here is a wild flower I found in Patagonia.